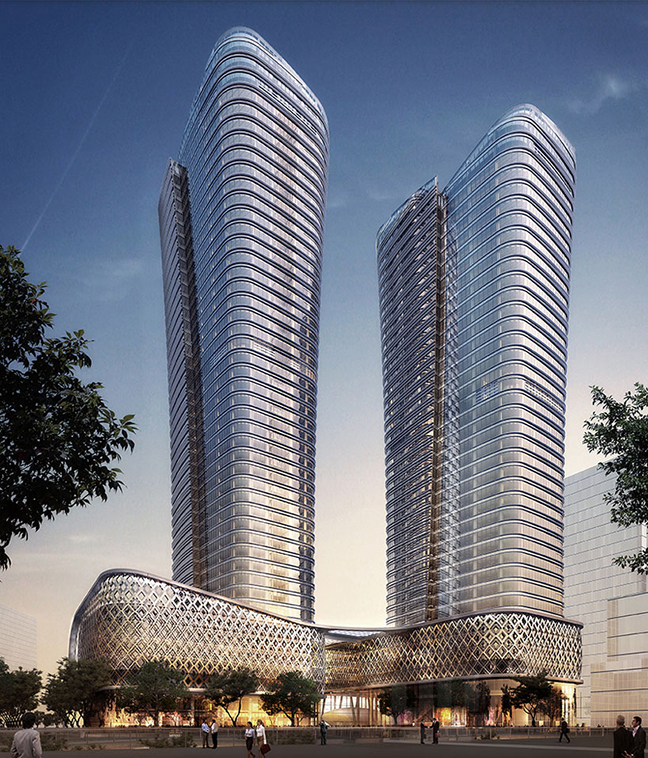 Plans have been unveiled for Ziraat bank’s Istanbul headquarters, a large scale project comprising two distinct towers which will form the centerpiece of the city’s financial district. Located in a modern suburban district, the scheme, developed by international firm Kohn Pedersen Fox, exemplifies the Turkish capital’s growing status as a global financial center. 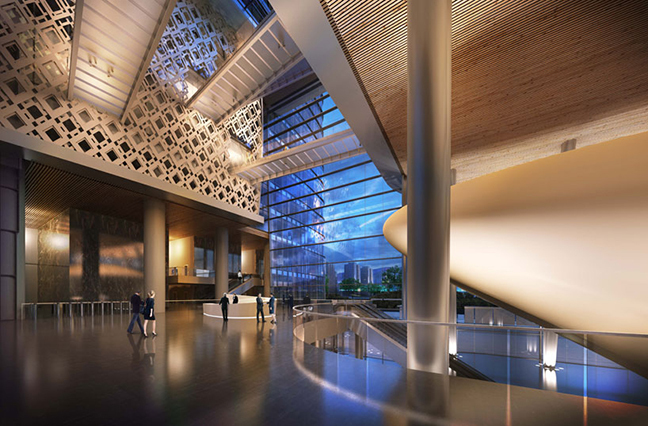 The 400,000 square meter project is connected through a podium at the base of the design which organizes both interior and exterior space – ensuring a vibrant public realm at ground level. The two identifiable towers rise out of the plinth becoming more transparent as they climb towards the sky. The façades of the structure combine high quality glass with metal frames emphasizing the scheme’s precise geometry. 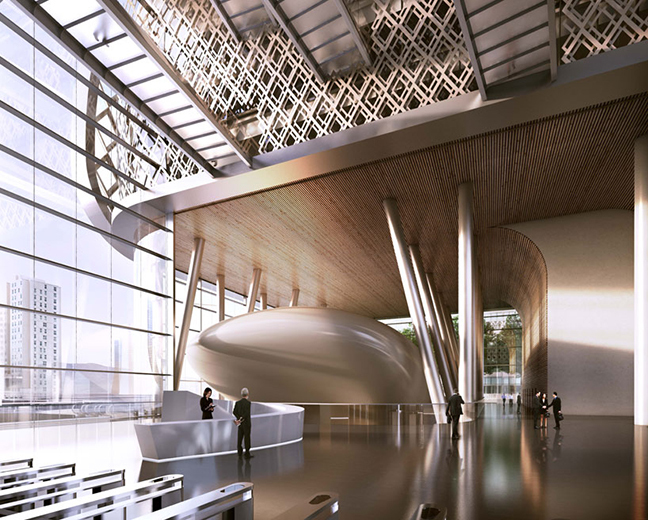 The Ziraat bank development was designed in collaboration with local architects A Tasarim Mimarlik, and planned in tandem with KKS.